Available October 1 to October 31, 2018. 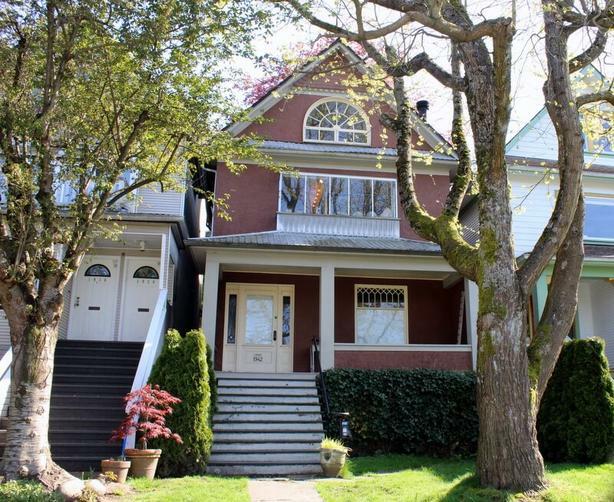 Charming two-bedroom + study home in the beautiful Kitsilano neighbourhood. On the second floor, the spacious living room has lots of comfortable seating and a dining table for 4. Next to the living room you will find an office with a work station. The kitchen has an gas stove and oven; a door off the kitchen leads directly into a lovely private terrace with a dining area. Also on this level is a bathroom with a stand-alone bathtub. On the third floor is the main bedroom with a double size bed and ample closet space. The second bedroom has a single bed and work desk as well as an ensuite bathroom. Both bedrooms have wide windows that allow lots of light. On the first floor is a large study room with a comfortable double sofa bed. Down a flight of stairs is a washroom with a shower/tub combination. Vibrant colours and eclectic decor throughout the house provide visual excitement, with loads of art and collectibles. Beautiful garden in the backyard. Conveniently located in a quiet Kitsilano neighbourhood which is only a 7 minute drive to Downtown. Public transportation is 1.5 blocks away and takes you to UBC, Granville Island, Broadway and Downtown! Not suitable for small children due to stairs. Pets may be allowed on a case by case basis. Please inquire. Please quote reference #831 when inquiring about the property.